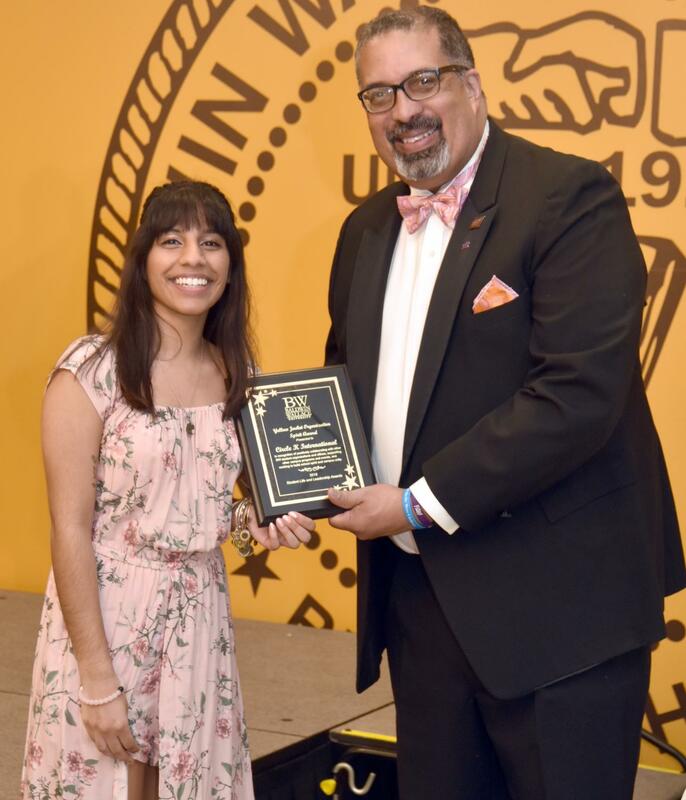 At Baldwin Wallace University’s Student Life and Leadership Awards, students have the opportunity to be awarded and recognized for their work in co-curricular activities. The Student Life and Leadership Awards features a variety of different categories in which students can be recognized, said Yager. The award categories are divided into 3 main subgroups, which include program awards, individual awards, and organizational awards. The program award category features specific awards such as Cultural and Diversity Program of the Year, Service Program of the Year, Social Program of the Year, Educational Program of the Year, and Innovation Program of the Year. The organizational categories’ specific awards include the Yellow Jacket Organization Spirit Award, Organization of the Year Award, and New Student Organization Award, which can be awarded to an organization that is less than 3 years old. The individual awards include the Emerging Leader of the Year Award and the Outstanding Leader of the Year Award, both of which are awarded to two different students. The individual category also includes Student Organization President of the Year and Advisor of the Year. According to Yager, nominations for the Student Life and Leadership awards are typically accepted for about a month prior to the actual event. She said that nominations can come from any student or faculty member and self-nominations are accepted as well. Yager said that after nominations are accepted, the nominations are scored by a selection committee composed of staff and faculty around campus who are not involved in any of the organizations to eliminate any potential bias. The selection committee scores the nomination privately and scores of the various committee members are then added up to select a winner, she said. While this is the 12th annual Student Life and Leadership Awards, Yager said the ceremony continues to improve and evolve each year. One major change of this year’s Student Life and Leadership Awards is the location of the event. Last year, the awards were held at the Union Ballroom on Friday evening. However, due to various scheduling conflicts, the awards will now be held in the Student Activities Center (SAC) on Wednesday evening. Yager said that she and her team of the Student Life Center staff, Student Life Center Graduate Assistants, and assistants from the Brain Center, have surveyed the SAC to ensure that the venue is prepared for the Student Life and Leadership Awards. The event is open to the public and there is an RSVP, but, according to Yager, it will not be strictly enforced due to the new location at the SAC.